Carlo’s Bakeshop celebrates its 30th anniversary and kicks off their year-long celebration with an important milestone with the celebration of the Buluwanon na Nanay 2017, the awarding of top mothers of Iloilo by the Iloilo City Government Task Force on Iloilo Street Children. Bulawanon na Nanay was started in 2009 by the Iloilo City Government Task Force on Street Children where LGU, NGOs, Commission on Human Rights, and the private sector all got together thinking of an activity for mother’s day. It has been searching, the past 8 years, for deserving mothers who raise children while protecting their rights and developing them to be good members of the community. This awarding ceremony derived its name from Gold (or Bulawanon in Ilonggo). In an analogy of what mothers go through, it compares mothers to gold, which goes under fire, then is melted, molded before it comes out as the shiny gold piece of jewelry or accessory. It is just like mothers who undergo hardships and sacrifices before fulfilling all their dreams for their family. The stories one heard that day warmed one’s hearts it tells about the sacrifices a mother goes through, top candidate mothers are searched all over Iloilo from different barangays. They are chosen based on intensive interviews and screening on parenting and home management, aside from their community involvement. "Kami sa Carlo’s, saludo gid kami sa mga sacripisyo at malasakit sang mga nanay para sa edukasyon kag maayo na pangabuhi ang mga bata. When we see good or successful children, we always say, maayo gid ini nanay niya magpadako sang bata. Maayo gid na pagdala nya sa iya pamilya. 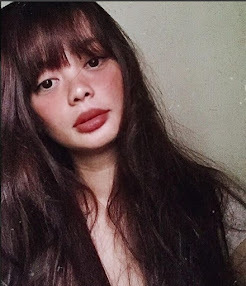 Ang work daan sang isa ka iloy, hindi sya 8 hours, hindi lang from 9 to 5. On the contrary, a mother’s job is a 24/7 full time job. Their only reward is having good responsible productive morally upright children, who can contribute to the growth of the community." 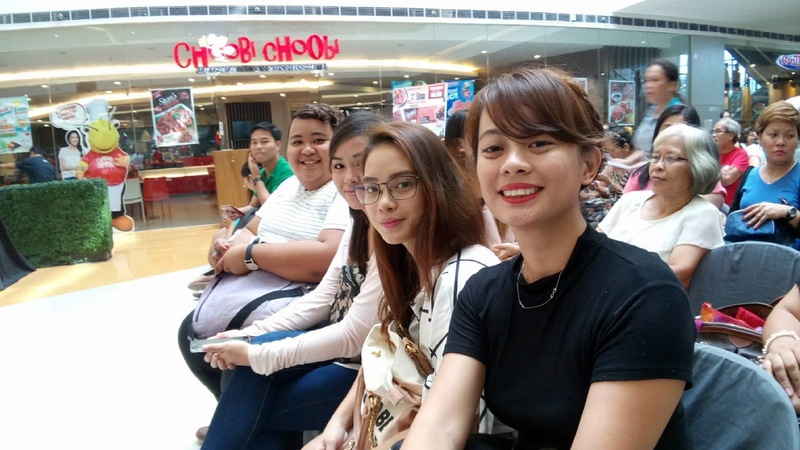 Carlo’s wanted to find these deserving moms for their 30th anniversary, and teamed up with the organizers of Bulawanon na Nanay of Iloilo City these past few weeks, and listened to the stories. That day as part of Carlo’s 30th anniversary celebration in honoring moms, Paolo Trenas has announced that they added trip rewards to the deserving moms. Aside from the cash prizes from the City Government who gave P10,000.00 to the winner, P7500.00 to the 1st runner up and P5000.00 cash to the 2nd runner up, additional prizes for the Bulawanon winner from Carlo’s is a free trip to Boracay for two, all expenses paid. She also becomes Top Carlo’s mom as well. The Carlo’s Top Mom and Bulawanon na Nanay 2017 winner is Benliro Andrea Andraje from Urban Poor, Villa Tabuc Suba, Jaro with seven ( 7) children. Her answers impressed the judges on what she has done to augment their income and her ability to make ends meet to enable her children to go to school and finish their studies. 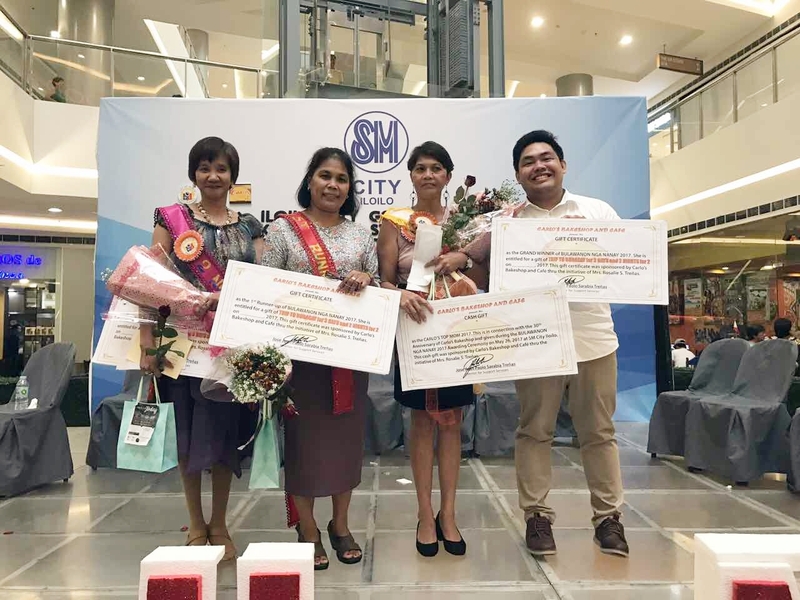 These Trip prizes from Carlo’s Bakeshop go as well to the first runner up Nemia Casabuena from Zone VI Calumpang Molo who also has seven (7) children, and second runner up Susan Paloma from Zone II, Bgy San Juan Molo with five (5) children. These moms were picked out of 14 contestants and were the lucky moms. The Govt. of Bulawanon and the Carlo's Bakeshop is so amazing to think of celebrating Mother's Day in Public with the Bulawanon Nanay. I guess all govt. district in Philippines should also do the same. Mother's are so important it's the beginning of Life. Looks like you enjoy the event. Love the photos by the way.